Everyone gets inspiration from somewhere, including the talented team of writers, animators and voice actors of The Simpsons. After twenty-six seasons, the world’s favorite animated sitcom continues to introduce us to zany characters with surprising wit and complexity, but most of them don’t materialize out of thin air. In fact, many of the show’s most beloved cartoon personalities were partially or fully based on celebrities, actors, and even characters from other TV shows. 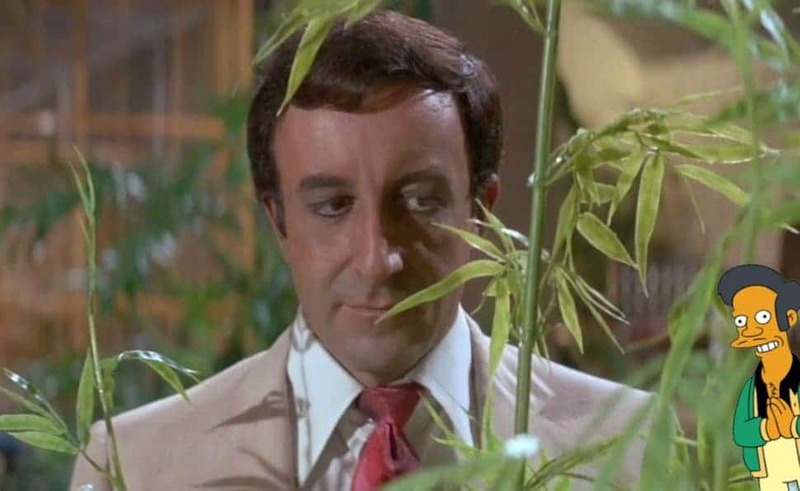 The show’s use of cinematic pastiche creates a rich world brimming with wonderfully satirical takes on celebrities, politicians and public figures. 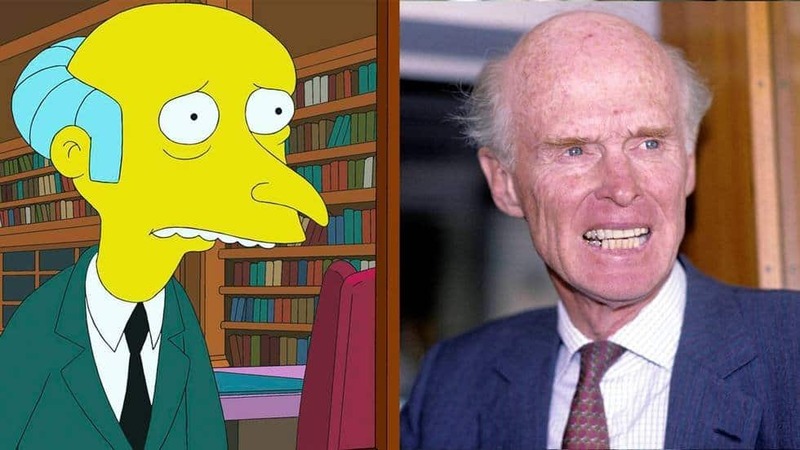 Even the main Simpsons characters have roots in the real world. 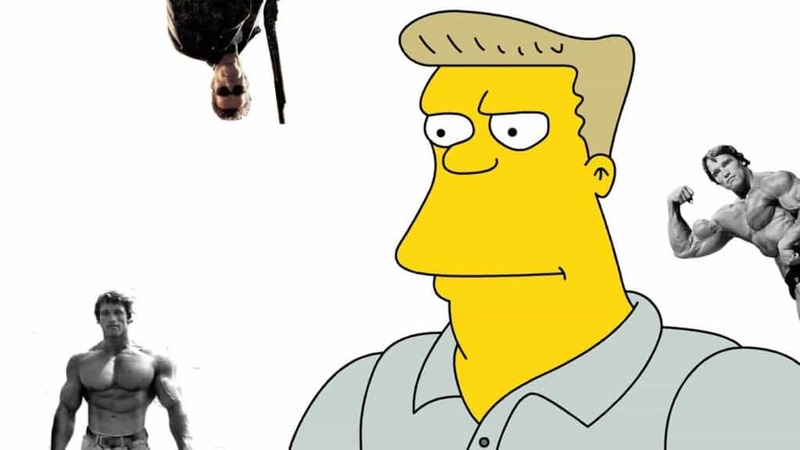 Whether they be based on a person’s voice, mannerisms, looks, or life story, these 18 real-life inspirations for Simpsons characters may just change the way you view some of your favorite Springfield residents. Without a doubt, Homer Simpson is one of the most beloved characters in television history. 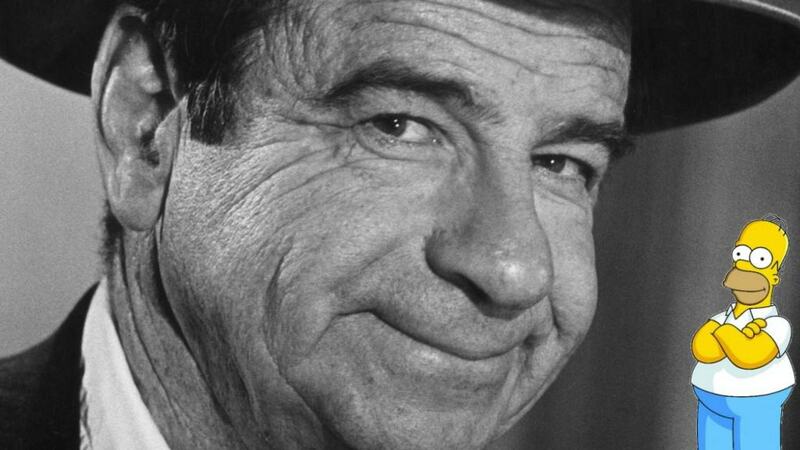 According to Dan Castellaneta, who voices Homer and a host of other Springfield residents, says the original inspiration for his voice was character actor Walter Matthau. 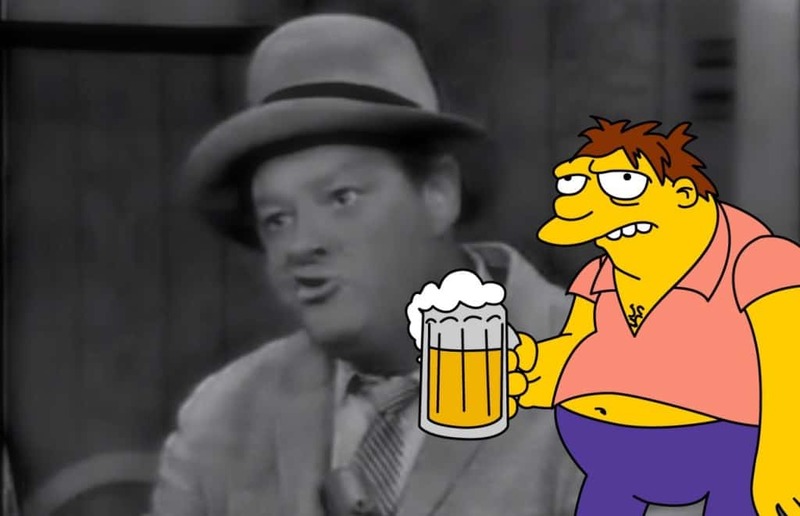 Barney, the portly, perpetually drunken patron of Moe’s Tavern was inspired by a character from The Jackie Gleason Show. Much like his cartoon counterpart, “Crazy Guggenheim” was fond of drinking and babbling nonsense. Matt Groening, creator of The Simpsons, was apparently quite disappointed that the animated version of Dennis the Menace toned down the eponymous character’s mischievousness. 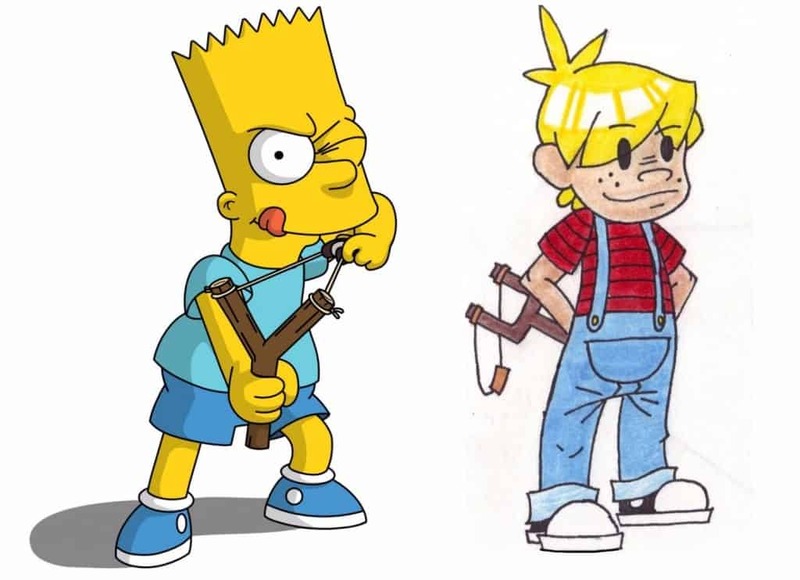 Thus, Bart (an anagram for “brat”) was born; he’s the ultimate scamp and the closest thing to a true Dennis the Menace adaption on TV. Springfield’s own Mayor Quimby is pretty clearly based on U.S. President John F. Kennedy. His voice and mannerisms portray a kind of aged take on the late politician. 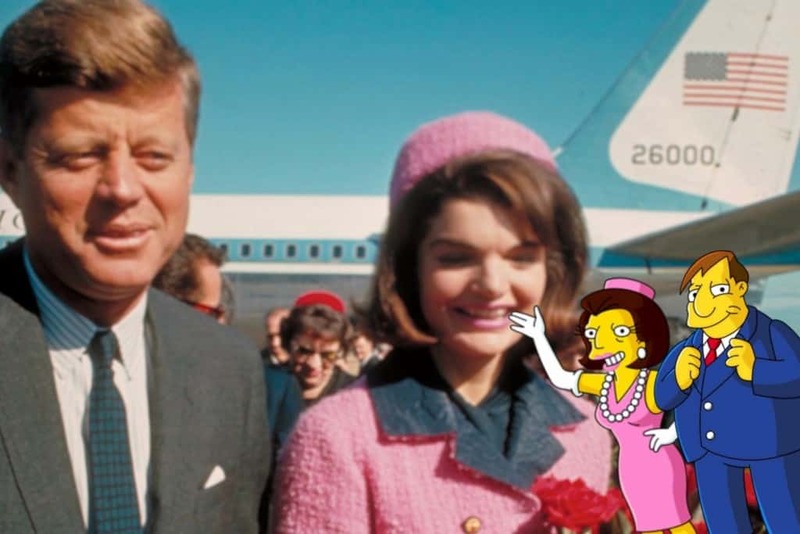 Even his wife bears a striking resemblance to JFK’s wife, Jackie. When the character of Professor Frink was first written into the show, he was intended to be a villainous mad scientist. But when voice actor Hank Azaria tried reading his lines as Jerry Lewis’s character from The Nutty Professor, everybody loved his interpretation. The character was retooled to be the lovable, bumbling genius we know today. Bumblebee Man always seems to be on TV in the Simpsons universe. 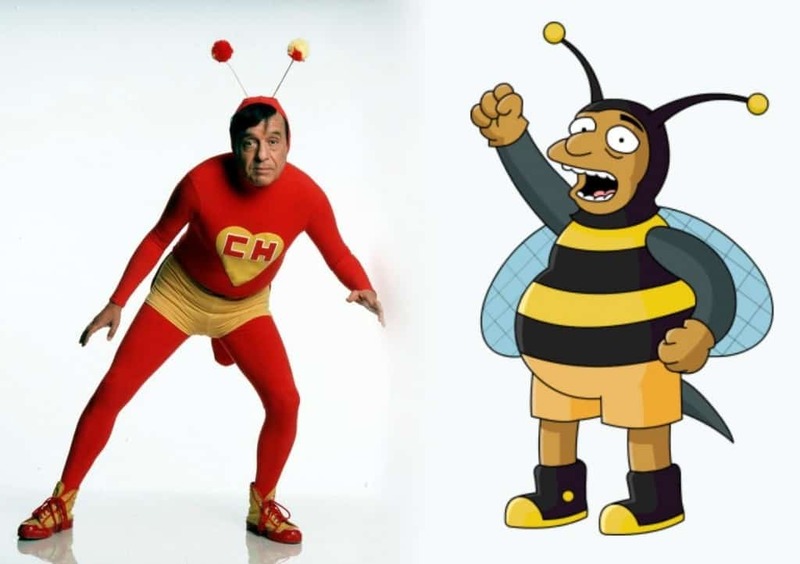 That’s because he was inspired by a real-life Mexican TV superhero known as El Chapulín Colorado, or “The Red Grasshopper”. Much like the slapstick comedy of Bumblebee Man, the real-life character was written as a comedic parody of superheroes. 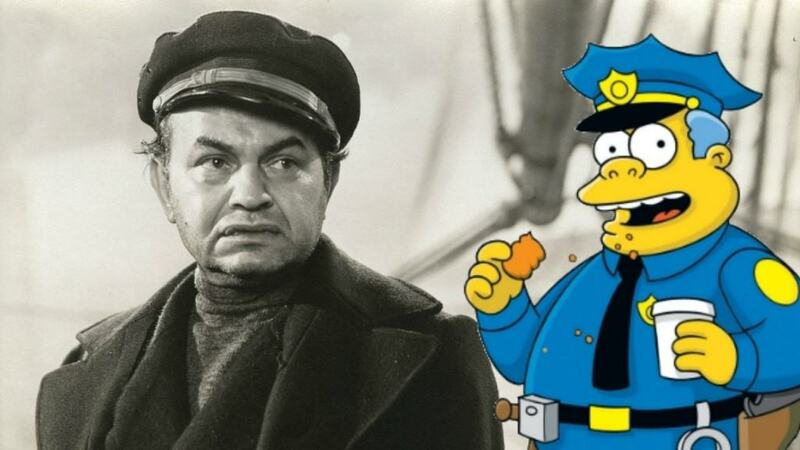 Although the character’s personality isn’t based on anybody in particular, Chief Wiggum’s voice was inspired by legendary Hollywood actor Edward G. Robinson. 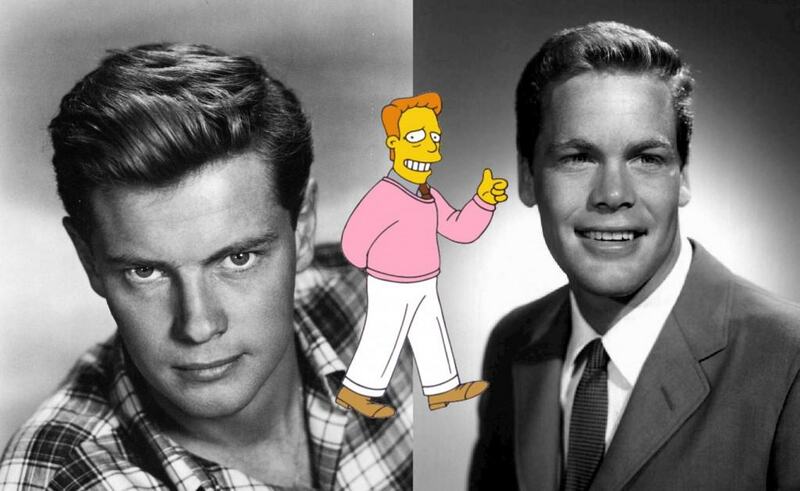 Aging B-Movie star Troy McClure was a mashup of two famous Hollywood B-listers, Troy Donahue (left) and Doug McClure (right). He also bears a striking resemblance to his voice actor, Phil Hartman. In 1998, Hartman tragically died in a murder-suicide instigated by his mentally unstable wife, Brynn. The Simpsons staff decided to retire the character rather than replace Hartman. 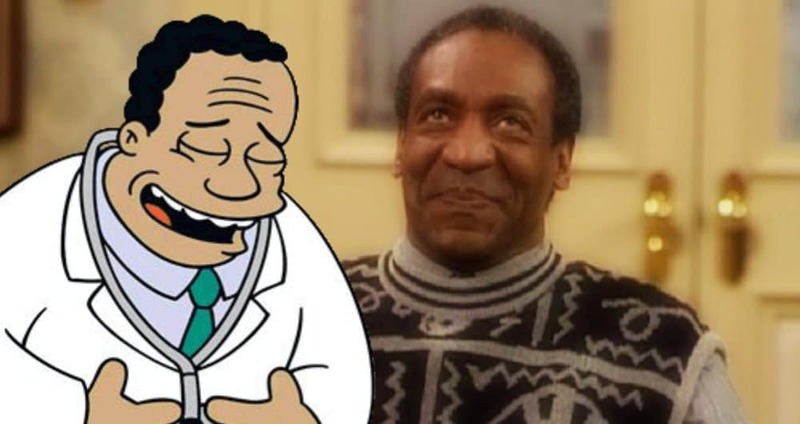 When The Simpsons was moved into the same timeslot as Bill Cosby’s classic family sitcom The Cosby Show, the Simpsons staff decided to retool the character of Dr. Hibbert in a humorous gesture to compete with Cosby’s Dr. Huxtable. Have you ever noticed Moe the Bartender’s voice sounds a little familiar? 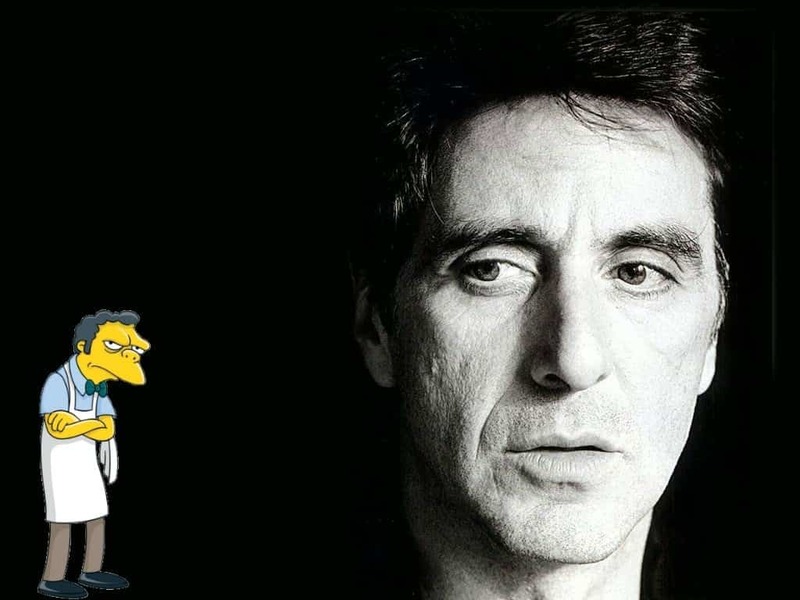 That’s because it’s based on the voice of legendary actor Al Pacino. 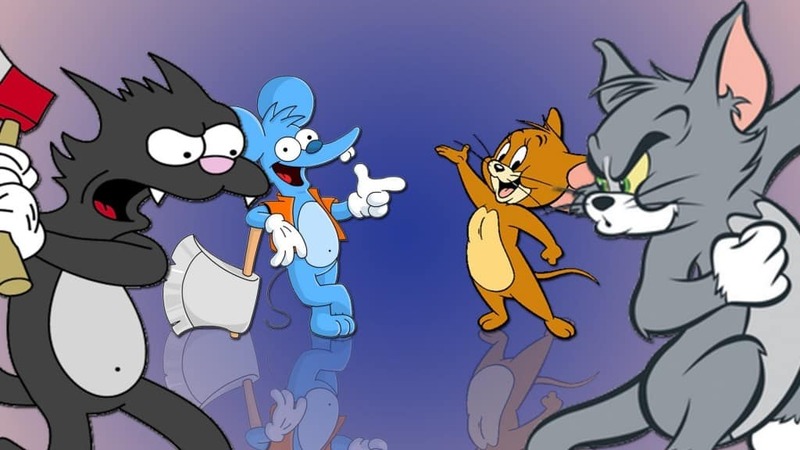 The violent cartoon antics of Itchy the mouse and Scratchy the cat are a satirical take on Tom and Jerry, the classic animated duo famous for entrapping each other in a variety of elaborate ways. In true Simpsons fashion, the pranks and gags are amped up to levels of pure insanity. This one is pretty obvious. From his distinctive accent to his cheesy 1980s-style action flicks, Rainer Wolfcastle is a near perfect emulation of actor and politician Arnold Schwarzenegger. The richest man in Springfield was inspired by businessman Fred Olsen (pictured), businessman Olav Thon, and Matt Groening’s high school teacher, Mr. Bailey. The character’s power-hungry persona comes from Olsen and Thon, but only Groening knows what aspects of Mr. Bailey’s personality shine through in Mr. Burns. 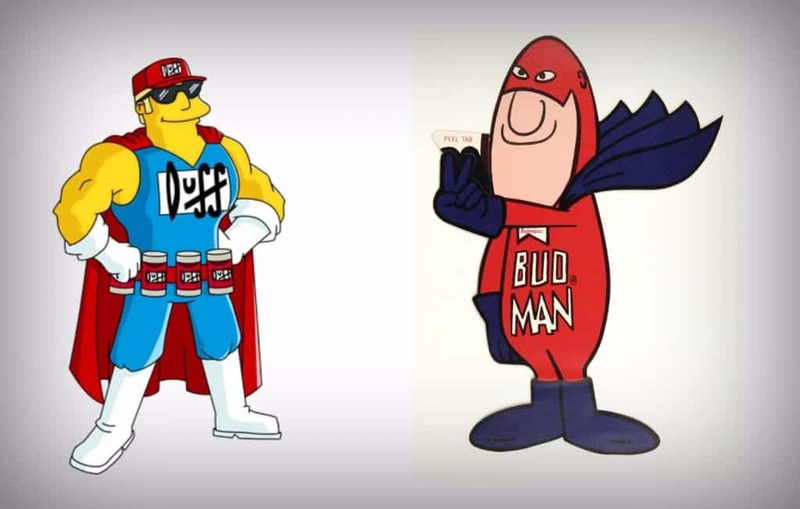 To younger viewers, Duffman may seem like a completely off-the-wall character, but he was actually a parody of Budweiser’s “Bud Man”, a character who appeared in the company’s advertisements throughout the 1980s. 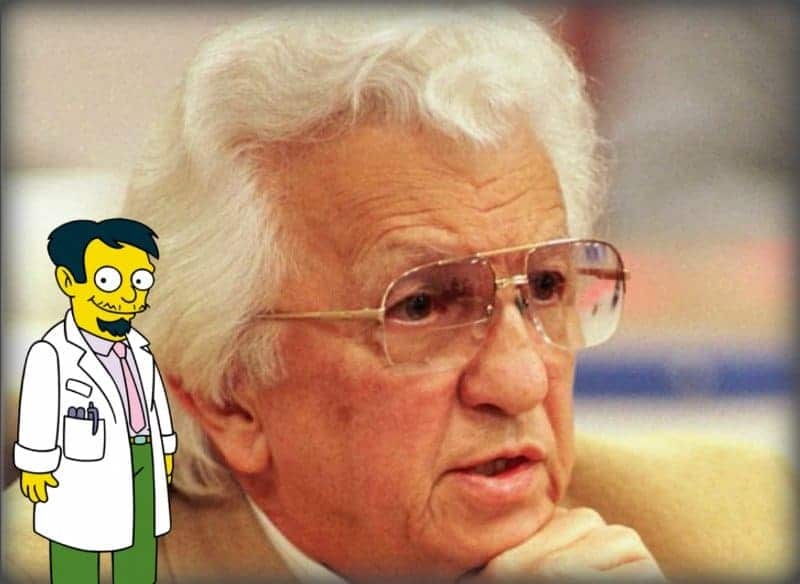 The hilariously inept Dr. Nick was based off of Elvis Presley’s former doctor, George Nichopoulos, an associate of Elvis Presley who often went by the name “Dr. Nick.” Many believe Nichopoulos’s incompetency and general quackery indirectly led to Presley’s early death. 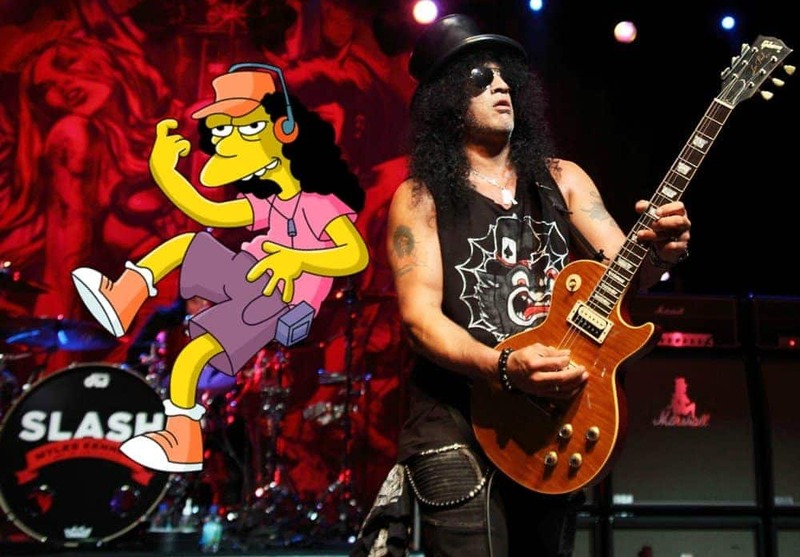 Once you see it, you can’t unsee it: Otto looks a heck of a lot like Slash, the legendary guitarist for Guns ‘n Roses. Turns out, this was totally intentional. Otto even has a penchant for collecting snakes, a nod to Slash’s real-life hobby. 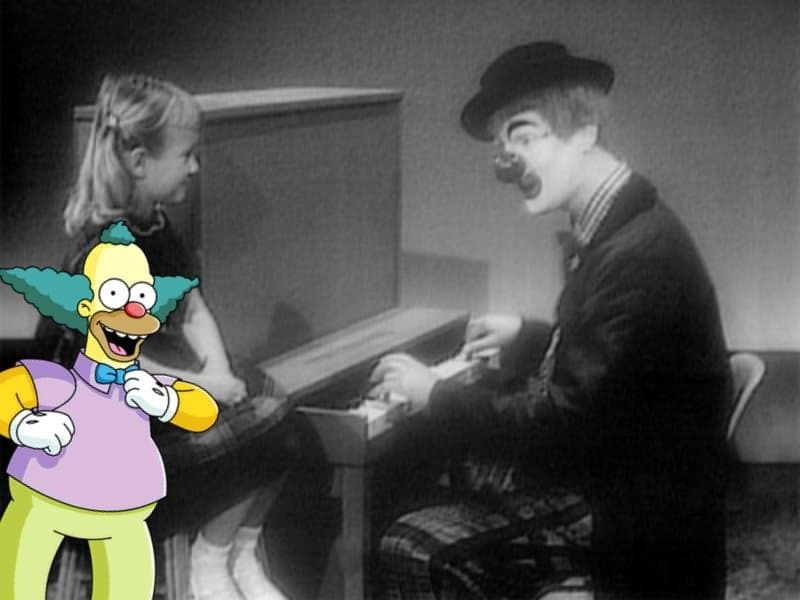 The infamously bad role model Krusty the Clown was based on a real clown named “Rusty Nails”. Groening watched the clown perform on TV as a child, and much of Krusty’s act is lifted from Rusty’s routines. Krusty’s backstory is based on the life of comedian Jackie Mason, who got to voice Krusty’s father in the episode Like Father, Like Clown. Want another Krusty fact that just might blow your mind? When the character was originally devised, Groening planned on revealing “Krusty” was actually Homer Simpson moonlighting as clown to impress Bart, who respected and looked up to Krusty much more than his own father. The idea fell by the wayside after a few seasons and was eventually dropped altogether, but it does explain why Homer and Krusty’s character designs are almost identical. Anyone who criticizes Indian Kwik-E Mart owner Apu for being a racial stereotype probably doesn’t realize that’s the whole point of his character’s existence, as he’s a spoof of Peter Seller’s “brownface” character in his classic movie The Party.